New York – Law-enforcement agencies around the U.S. are deploying extra officers at synagogues and Jewish centers in response to a shooting that claimed 11 lives at a Pittsburgh synagogue. Police in New York, Los Angeles, Chicago and other cities said Saturday that while they knew of no credible threats against houses of worship in their communities, they were stepping up patrols out of an abundance of caution. Authorities say gunman Robert Bowers opened fire during a service at Tree of Life Congregation in Pittsburgh Saturday morning, killing 11 and wounding six. 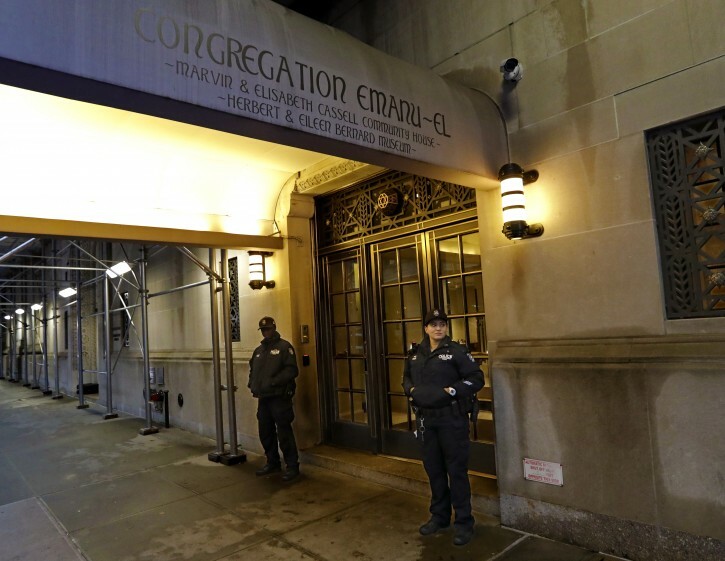 In New York City, Chief of Department Terence Monahan said officers equipped with heavy weapons have been sent to houses of worship throughout the city. The Chicago Police Department said it was providing special attention to synagogues.